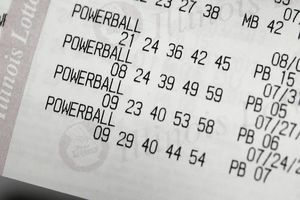 Most of us dream about winning a big Powerball jackpot, but do you know what you should do if your winning number actually comes up? If your first instinct is to rush out and cash your ticket immediately, think again. Once you claim your jackpot, lots of things are going to start changing very quickly, and you want to be prepared. Here are 8 sensible things to do before you claim a Powerball prize. If you've just found out that you have won a Powerball jackpot, the very first thing that you should do is to sign the back. Why? Because no one keeps track of who owns which Powerball tickets. All you have to do to claim a Powerball prize is to show identification that matches the signature on the back. So if your jackpot-winning ticket gets lost or stolen, anyone could claim your cash if your ticket is unsigned. It's a good idea to take pictures of the front and the back of the lottery ticket, to give you some legal standing if the ticket is lost. Once that has been taken care of, find a safe place where you can keep your ticket while you get everything else straightened out. Since you aren't going to be cashing it in immediately, you're going to want the peace of mind of knowing exactly where it is and that no one can get to it. A home safe, a lockbox, or a safety deposit box at a bank are all good options. Your life is going to start to change as soon as you cash in your ticket, and you want to make sure that you have everything in order before that happens. So it's important to know how long you have to sort things out before you claim your prize. Every jurisdiction that sells Powerball tickets has its own rules about how long you have to claim your prize. Even the prize value affects how much time you have; jackpot winners sometimes have longer than winners of other prizes. To find out how much time you have to plan before you claim your Powerball prize, look on your ticket. There should be a date on the ticket. If not, contact your local lottery to find out their prize claim policy. Then put that time to good use; wait until nearly the end of your term before you cash in your winning ticket. Many winners want to stay anonymous after winning the lottery, but it isn't always possible. Most jurisdictions want to be able to announce the winners in order to show that the prizes are being awarded legitimately. So before you tell anyone about your lottery win, find out what your options for anonymity are. In some jurisdictions, you must reveal your name, place of residence, and photo when you win a Powerball jackpot and the lottery must hand over that information to any third party that requests it. In other areas, you can claim the prize under a trust which can shield your true name. Sometimes, winners are allowed to use their first initial instead of their full first name, which can grant some protection. If you live close enough to a state that protects its Powerball winners' anonymity (such as Delaware, Kansas, Maryland, North Dakota, Ohio, and South Carolina) it might be worth traveling to those states to buy your tickets. Privacy laws depend on where you bought your ticket, not where you live. Many of the lottery curse victims said that being constantly barraged by people who wanted to ask for anything from interviews to appearances on reality TV shows to handouts turned a dream win into a nightmare. Before you have to face that kind of pressure, make yourself harder for the paparazzi to get in touch with. Change your telephone number, and only give the new number to people you trust. Set up a P.O. box for your mailing address. Delete your social media accounts (or start new, anonymous ones and follow only your closest real-life friends). Although taking these steps might seem excessive, you will be grateful for the ability to control who can get in touch with you once you are in high demand. Before you claim your Powerball prize, you want to have a team in place who can protect you from legal problems and help you manage your money. At the very least, you are going to need a lawyer, an accountant, and a financial advisor. You are going to need help setting up trusts, protecting yourself from frivolous lawsuits, and more. It's a good idea to look for professionals who have experience managing windfalls. Forbes has a list of questions to ask to ensure you find the right professional for you. Aside from professionals to deal with your money, you might want to consider hiring a therapist as well. You might be surprised by the emotions that surround winning a big lottery prize. You might feel stressed, overwhelmed, or even guilty for winning when perhaps someone else might have deserved it more. You might feel betrayed by so-called friends who let your money change their feelings toward you. A therapist can help you deal with these emotions in a healthy way before they start getting you down. When you win a Powerball jackpot, you'll need to decide whether you will opt to receive a lump-sum or annuity payout. There is no one right answer; the correct decision depends on your personality and financial situation. Consult with your financial advisors to help you determine the right course of action. Dreaming about what you would do with a huge Powerball payout is one of the most exciting parts of playing the lottery. If you actually win that jackpot, you'll have the chance to make those dreams come true. But even a seemingly-endless amount of money can disappear quickly if you don't have a plan for it. So take the time to set some concrete goals to achieve with your windfall. On that list should definitely be paying off any debt you have yourself. After that, you might think of goals like helping your friends and family, contributing to specific charities, big-ticket items for yourself like a new house, a new car, and a dream vacation, or perhaps even setting up a legacy like a trust to help your community or a wing in a local hospital. If you need some inspiration, check out these Lottery Success Stories to see what other big lottery winners have accomplished with their millions. Once you have your goals written down, you can take them to your financial advisors to help you find the best way to achieve them. A lot of things in your life are going to change once you have won a big jackpot, but there are probably some things that you want to stay the same. Thinking about those things ahead of time can help you protect them when things start getting crazy. For example, while some people can't wait to quit their jobs, others want to hold on to them. Your relationships might be very important to maintain. You might want to ensure that your children stay grounded or that you remain in a community that you care about. Thinking about these things before you claim your Powerball prize gives you firm goals to work toward. There are a lot of wise things to do before you claim your Powerball prize, but there are a few things you definitely should not do as well. For example, you shouldn't make any big changes right away including quitting your job, selling your house, or starting or ending a relationship. The time right after you win the lottery is very emotional, and you might not be making sound decisions. There are other good reasons for ​keeping your job after winning the lottery. You might find out you're not quite as rich (or at least, as cashflow positive) as you expect right away. And keeping your job might keep you grounded. You also don't want to start throwing your money around right away. It can take time for the money to show up in your bank account, and you want to have a solid plan and a strict budget before you start spending. Don't worry, there will be plenty of time for the good life, you just want to make sure that you stay responsible and don't make choices you will regret later.